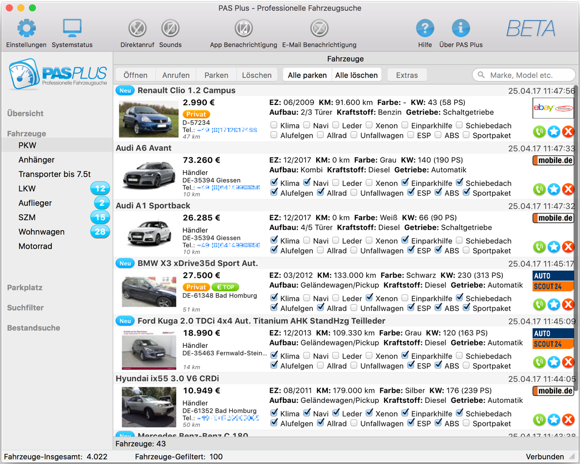 PAS Plus is an automatic vehicle search software. It makes your job easier. 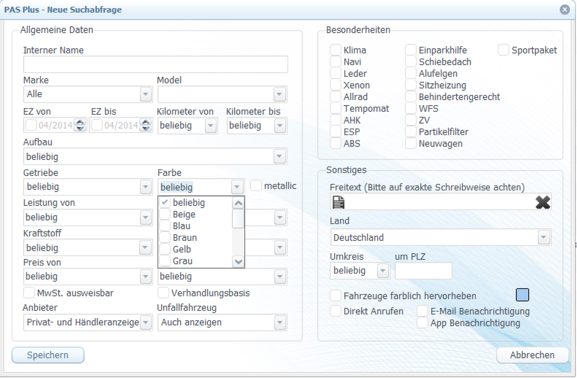 You no longer have to manually search for vehicles, that program filters all relevant vehicles, which then appear immediately on your PC. If any of the vehicles found are of interest to you, you can contact them by phone at one click and buy the car as you please. You decide what our car search engine should find for you. You are wondering why you have not bought a cheap car from the internet for a long time? And why the dealer colleague buys one car after another next to you? Do you have the feeling that you are slowly losing track of the market? Your motivation is due to non-purchased vehicles and lack of sales on the ground? Then it's probably because your fellow dealer is working with the car search engine PAS Plus - Professional Car Search. Do not miss out on bargains! 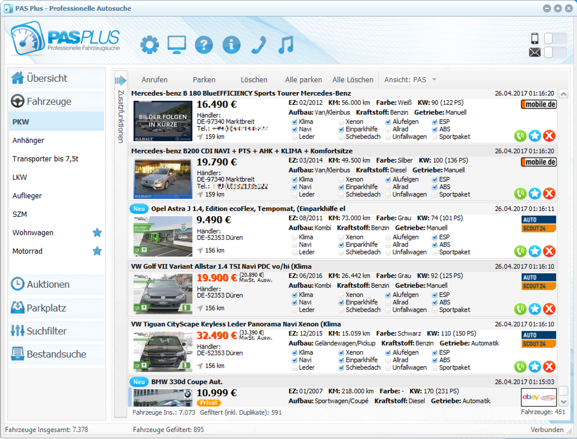 Test now without obligation PAS Plus - Professional car search. Try it! You will see that this market offers completely new possibilities for you. 1. 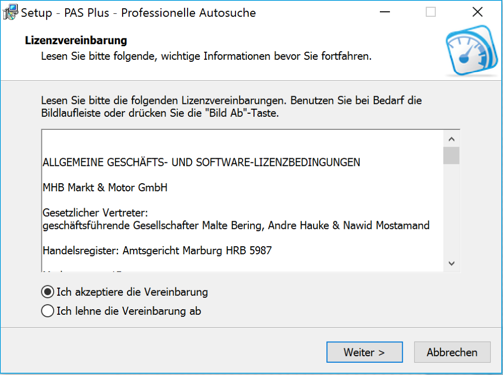 Download and install PAS Plus. 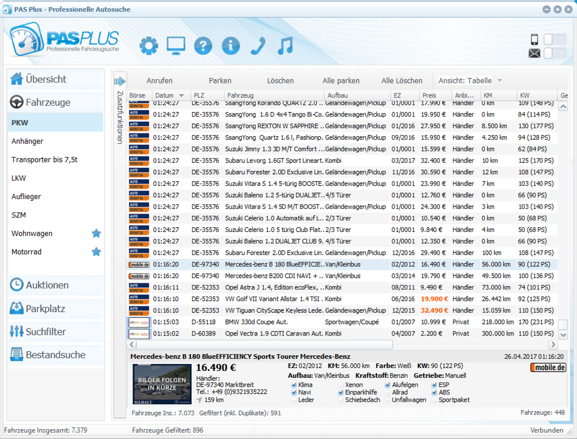 You can now register directly online for a free trial or even after the download, directly in our autosoftware. After the download, start that installer and follow the instructions. 2. Create search filters and set criteria. For each type of search one filter. 3. The vehicles found are listed as a result clearly. You can choose between different views. 4. If interested, call with direct telephony / telephone button. We will do the configuration for you. In 4 easy steps to bargain and thus significantly more sales! After the download, open the DMG image by double-clicking. 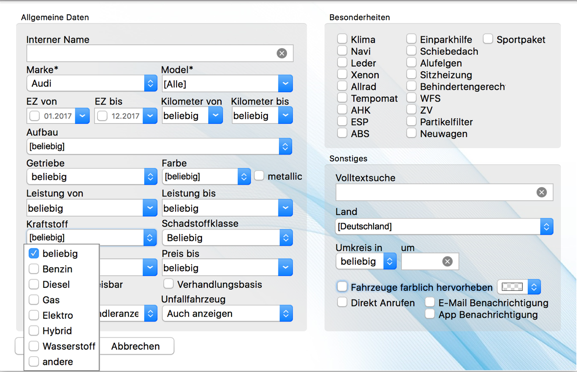 In the Finder window that opens, drag and drop PAS Plus into your applications directory.